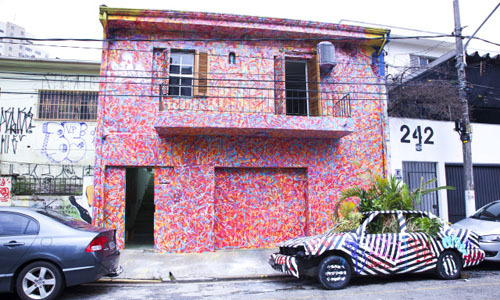 11 Art Galleries in Sao Paulo that shouldn’t be missed! It may appear that Sao Paulo has become the Street Artists’ “sweet heart” from day to overnight, but this recognition is the result of persistence and audacity of many urban enthusiasts that, for years, have been investing in creative art, promoting awesome artists and really cool galleries, comparable to the ones in Berlin, Tokyo or L.A.
Jardins and Pinheiros are renowned neighborhoods wich still dominate the scene, but if you walk around unusual areas like Cambuci, Glicério or the city center itself, you’ll see more and more venues appearing and constantly renewing its programs with workshops, lectures, soirees and even pocket shows, to become even more attractive and complete for the general public. We love this topic so much that we decided to list 11 must-see galleries in the city, to enjoy and inspire! 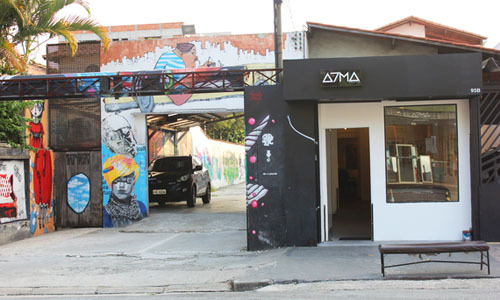 A7MA (pronounced A-setima), is located at a very strategic point of Vila Madalena’s neighborhood, just in front of Beco do Batman (the best spot in the city to check graffitis) and had become a reference amongst artists/connoisseurs, filled with works of emerging artists, friendly staff and honest prices. On Wednesdays, they promote a famous Soiree with great performances, and on Saturdays there’s always nice exhibitions and interesting fuss! 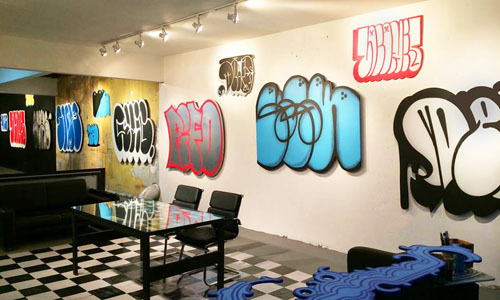 Located in the historic city center, Tag Gallery derives from the old Tag and Juice, wich used to be a mix of gallery and bike shop. 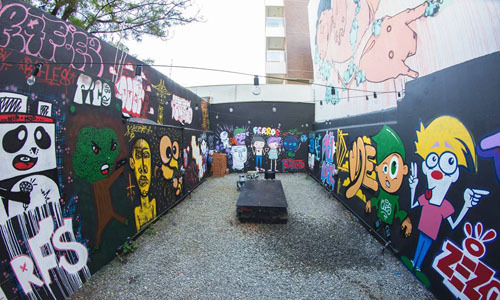 Curated by Billy Castilho, the space promotes the development of Street Art and connects artists from all over the globe. The vernissages are always fun, with beautiful people and an incredible view of the city, a real portrait of São Paulo! 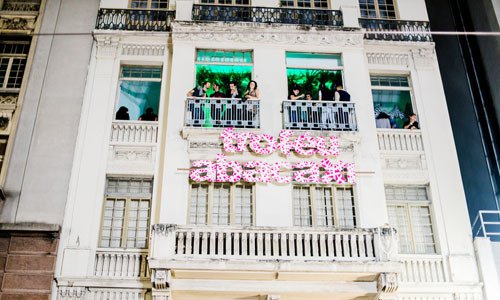 In the mezzanine of Copan building (projected by master Oscar Niemeyer), the PIVÔ is a cultural non-profit association that promotes experimental activities using art, architecture, urban planning and other contemporary manifestations. The program includes exhibitions, speeches and workshops, alternating design projects and self-made productions. For those who like to photograph, the location is very appealing! Founded in 1998, this rustic little house started with the intention of showing the historical and contemporary engraving in all its diversity, with temporary exhibitions and a precious collection. 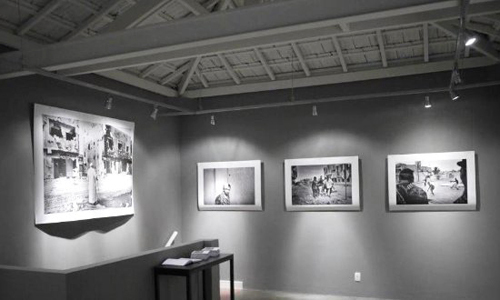 The gallery claims to be the only exhibition space in the country dedicated solely to engraving, with over one hundred exhibitions held in the past 10 years. A real classic! 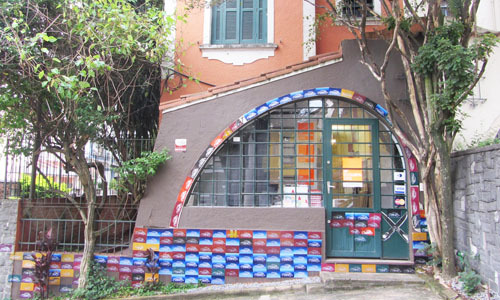 Choque Cultural was the pioneer of this Street Art frenesi in SP, with epic exhibitions in the late 90’s, with artists like OsGemeos, Bijari Collective and Speto. The casting of artists represented by the gallery is still one of the most powerful in the country. Be sure to stop by and check out the facade which is renovated every season. Maximum respect! 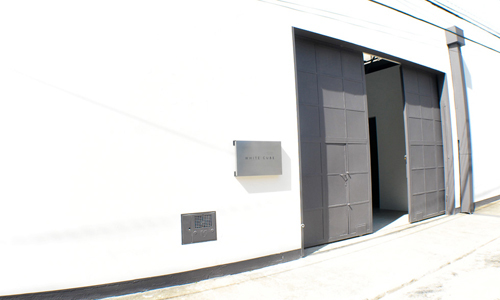 Branch of the famous gallery with the same name in London, White Cube landed in São Paulo to expand the contemporary art scene in mid-2012 and still remains fresh and original. Lodged in a converted warehouse, brings many international artists to exhibit frequently. Avant Garde! This one is especially for photo lovers, like us! (and we’re not talking about Instagram). The gallery, which also works as an office, is focused on what is sensed by other people’s lenses, with incredible proposals. 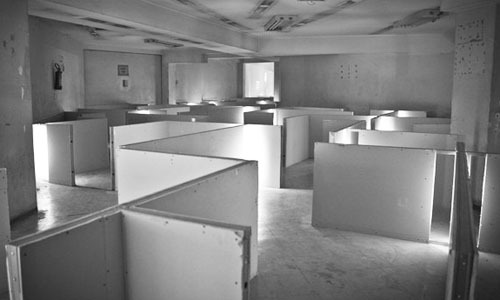 In addition to the expos, the space also organises workshops and meetings to discuss Photographic Art. 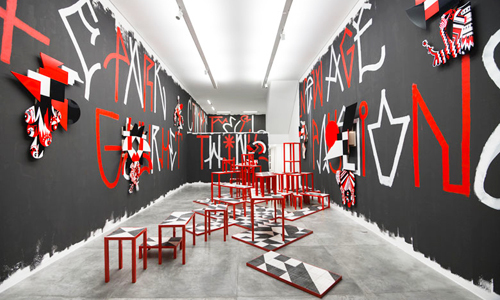 Since 1988, Casa Triangulo is one of the most important and respected Brazilian galleries of contemporary art, and plays a crucial role in the consolidation of relevant artist’s careers in the recent history of Brazilian art, like graffiti artist Nunca, for example. A must see! 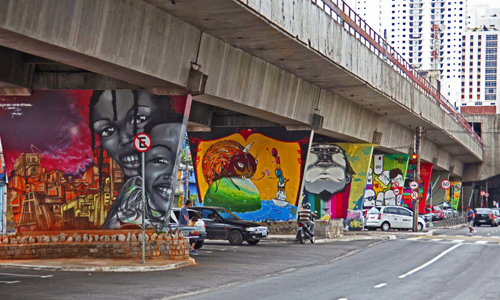 And, as it should be, we have a definite urban representative: Museu aberto (or open museum), consists of 66 pillars of the subway’s support, painted by 58 different graffiti artists. The initiative of the project came when 11 of them were trying to paint these same pilasters and ended up arrested by the police. After solving this, they matured the idea and even won the support of the Ministry of Culture, which paid for all spray cans used for the project!